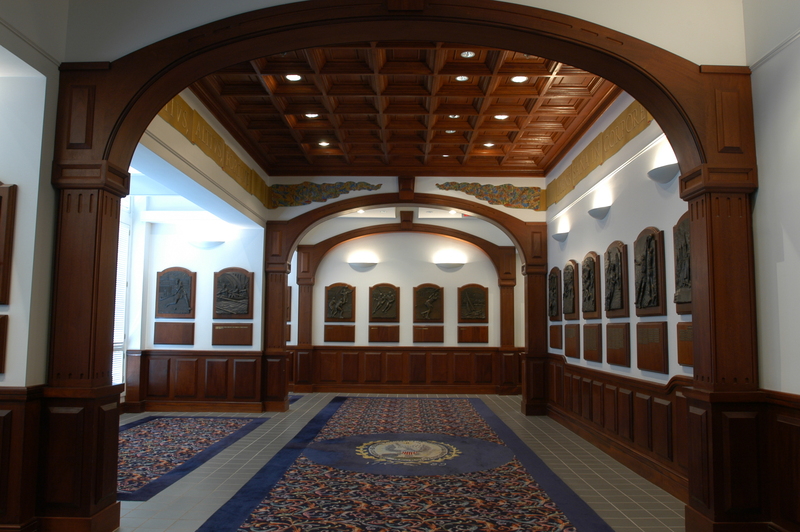 I began working on the Georgetown University Sports Hall of Fame in 1992. 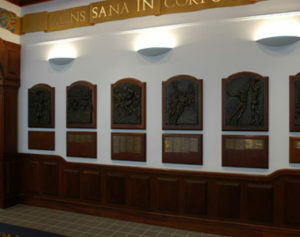 The hall is located in the Leavey Center on the university's campus and contains 25 bronze bas reliefs of the sports events the school participates in. Each plaque measures 24" by 32", including the mahogany bases. A separate plaque below the sculpted bronze plaque contains the names of the individuals represented.